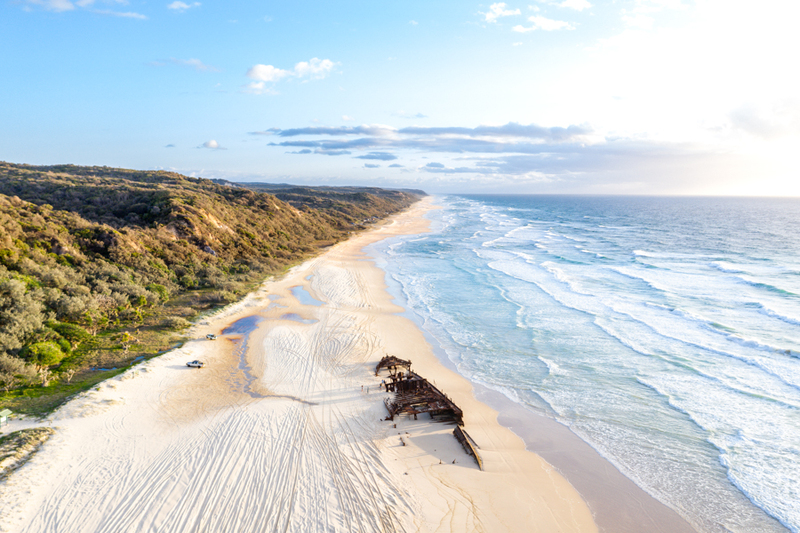 Since Fraser Island is predominantly made of sand, it must only be driven on using a 4WD. There are inland tracks that are more compact and easier for driving, but there are many parts of the island that are riskier and tricker to drive on that require the extra control of a 4X4 vehicle. There are many rules when driving on Fraser Island, as well as strong recommendations about how to best enjoy the ride... but this just adds to the fun! It can be a challenge to navigate and makes for a unique driving experience that you just won't get anywhere else in the world. Driving on sand is lot different than driving on a regular paved road or even a dirt road. The vehicle will feel different in your hands and react different to the terrain. But don't worry - you will get used it and love the thrill of driving like it's your first time all over again! Listen carefully to your guide if you are on a tour, and if not, make sure you do plenty of research before tackling the island. The island is constantly changing due to tides, wave patterns and sand, so even if you do it time and time again, it will be a new experience each and every time! Regular rules of the road apply - always watch for road signs and obey speed limits. Keep an eye out for hazards and always try to drive with another vehicle. If you are unable or unwilling to drive around the island, don't fret! Enjoying it all passenger-side is pretty awesome, too! Try a guided tour, or just enjoy being a passenger on a tag-along tour. 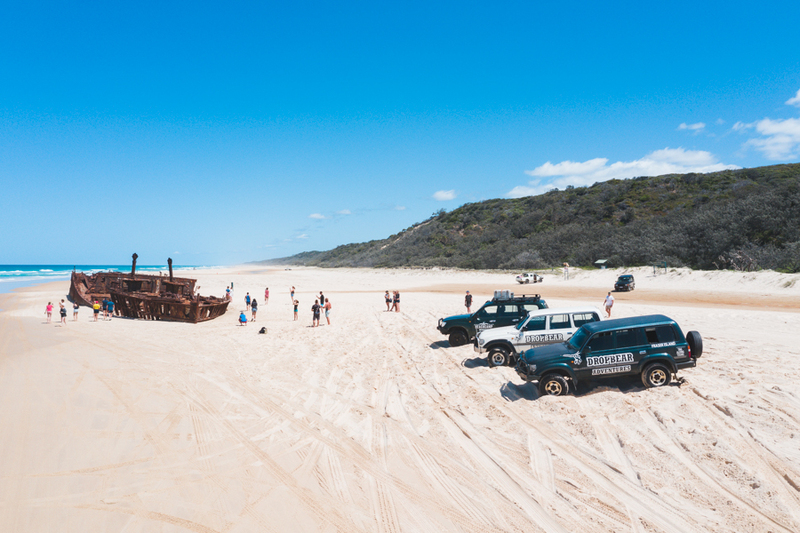 You will still get to see all the cool places and get to experience the bump and grind of Fraser Island.